Quantitative analysis of performance indicators of goals scored in the futsal World Cup Thailand 2012. The main objective of this study was to analyze the performance indicators and characterize of goals scored in the futsal World Cup Thailand 2012, in order to describe the most relevant parameters that can improve the efficacy of the teams. The analysis was based on 349 goals were scored in 52 matches played during this tournament. The data was obtained from the FIFA Website. Spreadsheets were used as data collection instrument, and the applied method was descriptive observational analysis. The results showed that The scoring rate of the futsal World Cup Thailand 2012 was 6.71 goals per match, the highest scoring goals at the forth 31:40 minute 32.95% from all goals were scored, most goals were scored landing in the lower part of the goal 76.2 % by shots 98.7% from total goals scored inside penalty area, specifically the area between line of goal and 10 meters from the penalty spot at the right(39.9%), most goals were scored 60.4% by open playing from the area between 10 meters from the penalty spot with line of goal and displays of the court 20 meters 73.1% of the total goals scored , and the rest 39.6% was scored by individual playing. By using T-Test winning teams had significantly higher values than the losing teams for the following game statistics: goals scored, total shots, shots on goal and effectiveness (p<0.05). However there is no significant difference in ball possession and corners between winning teams and losing teams (p<0.05). The results of the present study should not only give coaches a fresh insight into how to create more effective tactical plans, but they also provide useful information on the characteristics of how goals scored in futsal matches, give general values that help to understand and analyse futsal and help to design training sessions. Quantitative analysis, Evaluation, goals, futsal World Cup. Abt, G.A., Dickson, G, and Mummery, W.K. (2002). Goal scoring patterns over the course of a match: An analysis of the Australian National Soccer League. In W. Spinks, T. Reilly & A. Murphy (Eds. ), Science and Football IV (pp. 106-111). London, UK: Routledge. Acar, M.F, Yapicioglu, B, Arikan, N, Yalcin, S, Ates, N, and Ergun, M. (2009). Analysis of goals scored in the 2006 World Cup. In T. Reilly and F. Korkusuz (Eds. ), Science and Football VI (pp. 235-242). London, UK: Routledge. A´lvarez, JCB, D’ottavio, S, Vera, JG, and Castagna, C. (2009). Aerobic fitness in Futsal players of different competitive level. J Strength Cond Res 23 (7): 2163–2166. Armatas, V, Yiannakos, A, Zaggelidis,G, Papadopoulou S,and Fragkos, N. (2009).Goal scoring patterns in Greek top leveled soccer matches. Journal of Physical Education a Sport Vol 23, no 2, June. Armatas, V, and Yiannakos, A. (2010) Analysis and evaluation of goals scored in 2006 World Cup. Journal of Sport and Health Research, 2, 119-128. Armatas, V, Yiannakos, A, Papadopoulou, S, and Skoufas, D. (2009) Evaluation of goals scored in top ranking soccer matches: Greek “Super League” 2006-07. Serbian Journal of Sports Sciences, 3, 39-43. Bangsbo, J. (1994). The physiology of soccer - with special reference to intense intermittent exercise. Acta Phys Scand., 151 (Suppl. 619): 1-155. Barros, R. M, Misuta, M. S, Menezes, R. P, Figueroa, P. J., Moura, F. A., Cunha, S. A., et al. (2007). Analysis of the distances covered by first division Brazilian soccer players obtained with an automatic tracking method. Journal of Sports Science and Medicine, 6, 10. Carling, C, Williams, A. and Reilly, T. (2005). The Handbook of Soccer Match Analysis. London: Routledge. Castagna, C, D'Ottavio, S, Granda Vera, J, and Barbero Alvarez, J. C. (2009). Match demands of professional Futsal: a case study. J Sci Med Sport, 12(4), 490-494. Castellano, J, Casamichana, D. and Lago, C. (2012) The use of match statistics that discriminate between successful and unsuccessful soccer teams. Journal of Human Kinetics, 31, 139 – 147. Clemente, F, M. (2012). 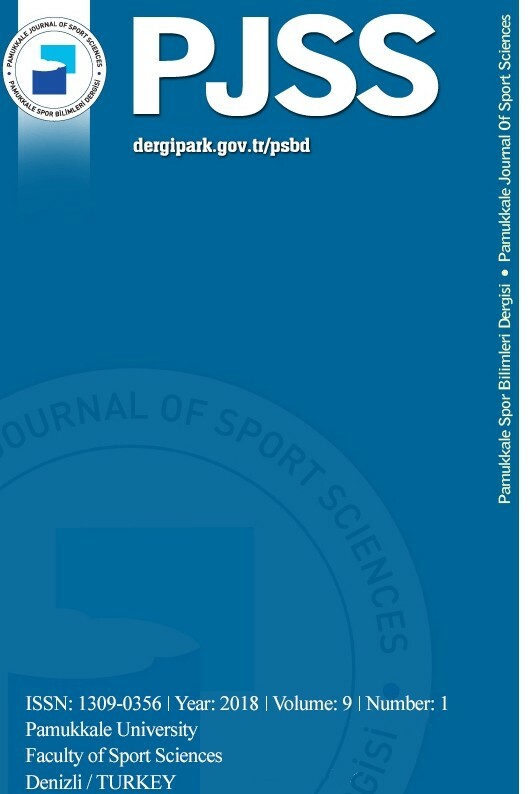 Study of successful soccer teams on FIFA World Cup 2010, Pamukkale Journal of Sport Sciences , Vol.3, No.3, Pg:90-103. Duarte, R, Batalha, N, Folgado, H ,and Sampaio, J. (2009). Effects of Exercise Duration and Number of Players in Heart Rate Responses and Technical Skills During Futsal Small-sided Games, The Open Sports Sciences Journal. Frencken, W., & Lemmink, K. (2008). Team kinematics of small-sided soccer games. A systematic approach. In T. Reilly & F. Korkusuz (Eds. ), Science and football VI (pp. 161–166). New York, NY: Routledge. Grant, A.G., Williams, A.M., & Reilly, T. (1999). Analysis of goals scored in the 1998 World Cup. Journal of Sport Sciences, 17, 826-827. Hughes, M, and Bartlett R. (2002). The use of performance indicators in performance analysis. J Sports Sci, 20: 739-54. Hughes, M, Caudrelier T, James N, Redwood-Brown A, Donnelly I, Kirkbride A, and Duschesne C. (2012). Moneyballand soccer - an analysis of the key performance indicators of elite male soccer players by position. J. Hum Sport Exerc. Vol. 7, No. 2, pp. 402-412. Hughes, MD, and Franks, IM. (2004). Notational Analysis of Sport 2nd Edition-better systems for improving coaching and performance. London: E. & F.N. Spon. Hughes, MD, and Franks, I. (2005). Analysis of passing sequences, shots and goals in soccer. J Sport Sci, 23 (5): 509- 514. James, N. (2006). Notational analysis in soccer: past, present and future. International Journal of Performance Analysis in Sport, 6, 67-81. Jinshan, X, Xiaoke, C, Yamanaka, K, and Matsumoto, M. (1993). Analysis of the goals in the 14th World Cup. In T. Reilly, J. Clarys & A. Stibbe (Eds. ), Science and Football II (pp. 203-205). London, UK: E. & F.N. Spon. Lago, C, Lago, J, Dellal, A, and Gomez, M. (2010). Game-related statistics that discriminated winning, drawing and losing teams from the Spanish soccer league, J Sport Sci Med9, (2), 288-293. Lago, C, and Martín, R. (2007). Determinants of possession of the ball in soccer. Journal of Sports Sciences, 25 (9), 969-974. Leite, Werlayne S. S. (2012). Analysis of the offensive process of the Portuguese futsal team, Pamukkale Journal of Sport Sciences, 3 (3), pp. 78-89. Luhtanen, P, Belinskij, A, Hyrinen, M, and Vnttinen, T. Comparisons (2001). Tournament Analysis Between the EURO 1996 and 2000 In Soccer. International Journal of Performance Analysis in Sport, volume 1, Number 1, July 2001, pp 74-82. Marques J, N, K. (2009). The effect of the peripheral vision training of the quantity of actions during the attack of the indoor soccer. Brazilian Journal of Biomotricity, v. 3, n. 1, p. 40-55. Michaildis Y, Michaildis C, Primpa E. (2013). Analysis of goals scored in European Championship 2012. J. Hum.Sport Exerc. Vol. 8, No. 2, pp. 367-375. Njororai W. W. S. (2007). Scoring Goals: What the coach should know about the timing. Soccer Journal. November/December, 34- 36. Njororai, W, W, S. (2013). Analysis of goals scored in the 2010 world cup soccer tournament held in South Africa, Journal of Physical Education and Sport (JPES), 13 (1), Art 2, pp 6 – 13. Peñas, C, L, Ballesteros J,L, Dellal, A and Gómez, M. (2010). Game-related statistics that discriminated winning, drawing and losing teams from the Spanish soccer league, Journal of Sports Science and Medicine 9, 288-293. Peñas, C, L, Ballesteros J,L, and Rey,E. (2011). Differences in performance indicators between winning and losing teams in the UEFA Champions League, Journal of Human Kinetics volume, 135-146. Reilly, T. (2001). Assessment of sport performance with particular reference to field games. Eur J Sport Sci v. 1, p. 1-12. Reilly, T. (1997). Energetics of high intensity exercise (soccer) with particular reference to fatigue. J Sports Sci., 15:257-263. Reilly, T. (1996). Motion analysis and physiological demands. In T. Reilly, J. Bangsbo, & M. Hughes (Eds.). Science and football III (pp. 65-81). London: E. & F.N. Spon. Roxburgh, A. (2008). The technician Futsal. Newsletter for coaches, UEFA. Stanhope J. (2001). An investigation into possession with respect to time, in the soccer World Cup 1994. In M Hughes (ed): Notational Analysis of Sport III. Cardiff: Centre for Performance Analysis, UWIC, pp 155-162. Suzuki, K and Nishijima, T. (2004). Validity of a soccer defending skill scale (SDSS) using game performance. Int J Sport Heal Sci v. 2, p. 34-49. Taylor, J. B, Mellalieu, S. D, James, N, and Shearer, D. A. (2008). The influence of match location, quality of opposition, and match status on technical performance in professional association football. Journal of Sports Sciences, 26 (9), 885-895. Tenga, A, Holme, I, Ronglan, L. T, and Bahr, R. (2010). Effect of playing tactics on achieving score- box possessions in a random series of team possessions from Norwegian professional soccer matches. Journal of Sports Sciences, 28 (3), 245-255. Vilar, L , Araujo, D , Davids, K , Bar-Yam ,Y. (2010). Science of winning soccer, Emergent pattern- forming dynamics in association football, The Editorial Office of JSSC & Springer-Verlag Berlin Heidelberg. Yiannakos, A. and Armatas, V. (2006). Evaluation of the goal scoring patterns in European Championship in Portugal 2004. International Journal of Performance Analysis in Sport (electronic), 6(1), 178-188. ISNAD Abdel-Hakim, Hosam . "Quantitative analysis of performance indicators of goals scored in the futsal World Cup Thailand 2012.". Pamukkale Journal of Sport Sciences 5 / 1 (January 2014): 113-127.